Oahspe, first published in 1882 is now available in modern language. 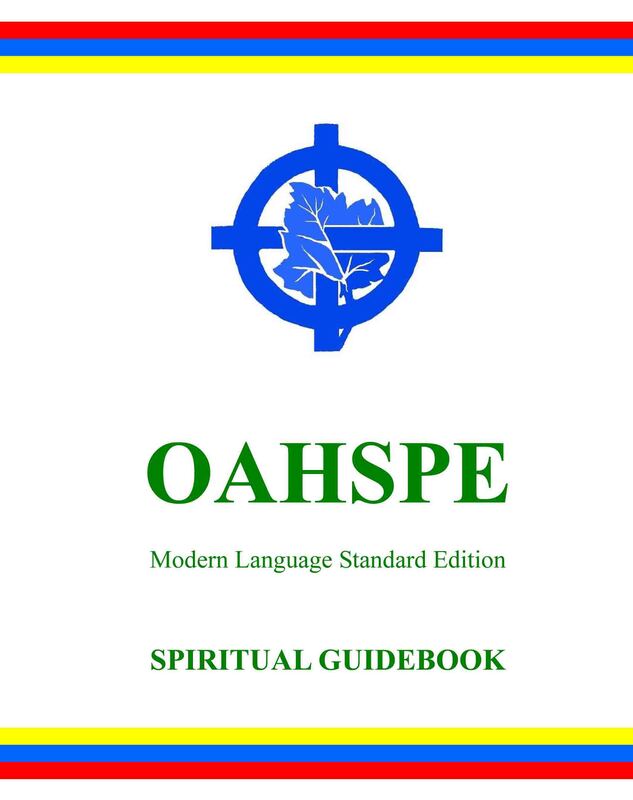 Carefully edited to preserve original meanings and nuance, the Oahspe Standard Edition, first published in 2007, can be read online and downloaded free at this website. contains an improved expanded comprehensive index based on previous editions. 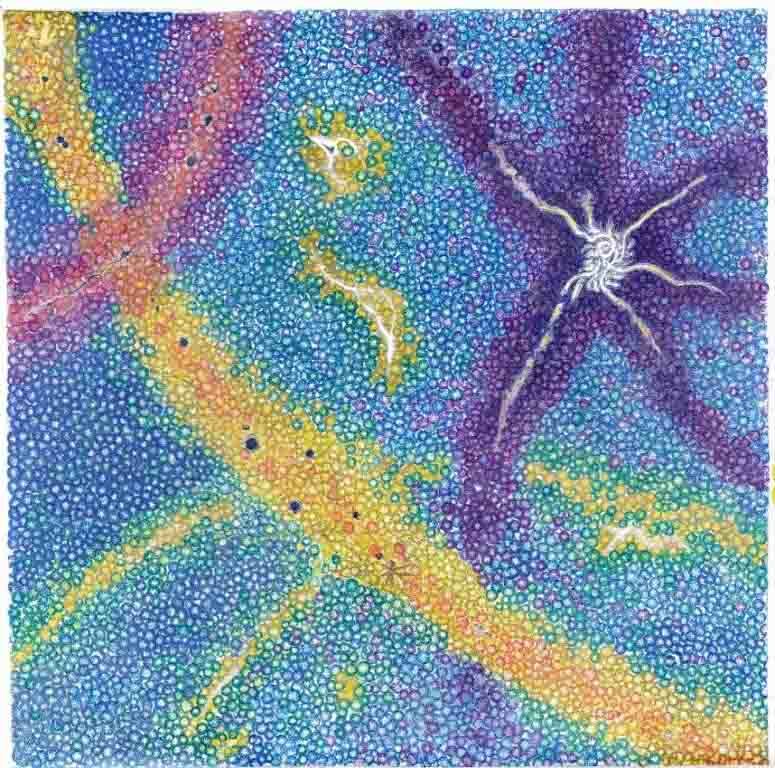 a gallery of Colored Oahspe Images true to original b/w drawings. 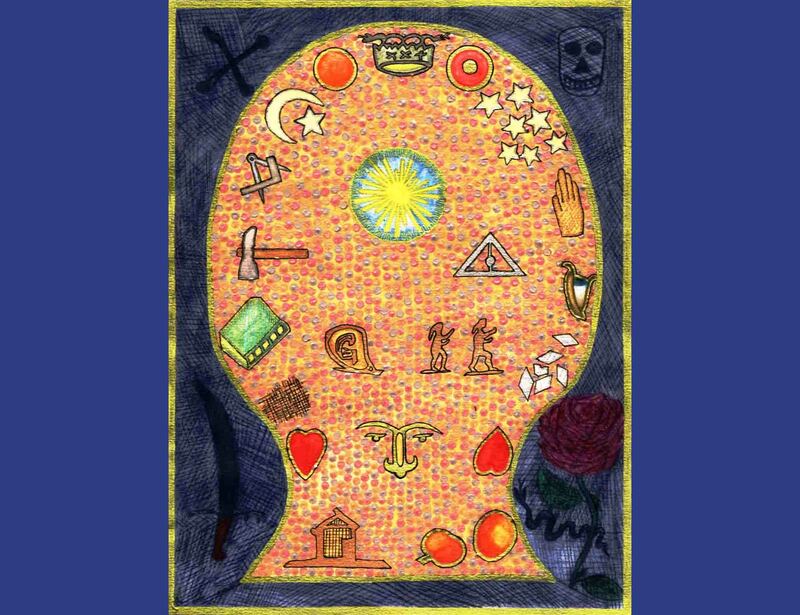 contains a series of articles which examine some of Oahspe's revelations in today's information contexts, including scientific, archaeological, historical, theological, social and more. Available now is an On-Screen Reader format and a For-Print format. For-Print format is also available in large size print. All of these are downloadable as Microsoft Word or PDF documents. A choice of covers are also available for printing versions. 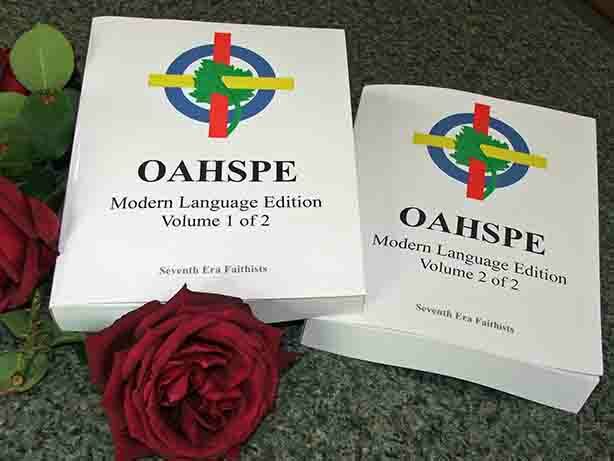 Since the cost of home printing is far greater than buying a manufactured bound book, a two volume hard copy set of Oahspe Standard Edition is available for sale through Amazon (see right side-bar for link). Large print (14 font) can only be acquired by home or custom printing using the For-Print Large Font version available free to download below. Click on the Download button of the desired format and save on your computer. On-screen version of OAHSPE Standard Edition; 1551 pages, one continuous column of text with sidenotes; includes hyperlinks. OSE index for on-screen OAHSPE Standard Edition; 102 pages. Regular Print version of OAHSPE Standard Edition; standard 10-point body text; 1030 pages for 8 1/2" x 11" paper, two columns of text with footnotes, no hyperlinks, includes index. 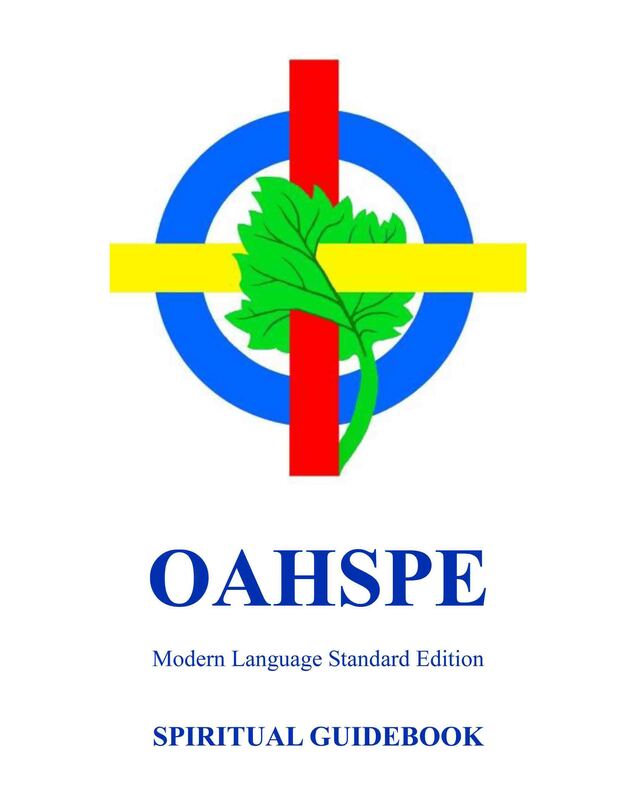 Large Print version of OAHSPE Standard Edition; 14-point body text; 1831 pages for 8 1/2" x 11" paper, two columns of text with footnotes, no hyperlinks, includes index. 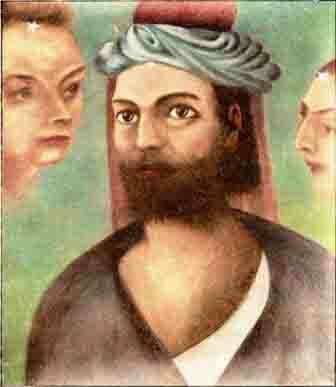 NOTE: Microsoft is not consistent across all versions of MS Word when rendering the page layout; therefore, if you download the print doc files, check to make certain the total page number is exactly the same as posted above --- otherwise the references in the book might not match the printed page number. 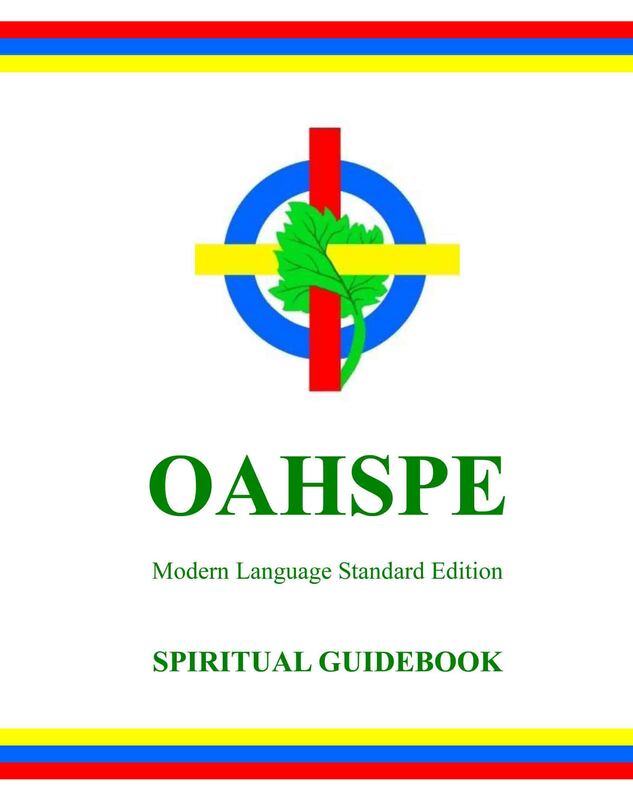 Oahspe sets out the framework, standards and discipline for those who choose the Faithist way. 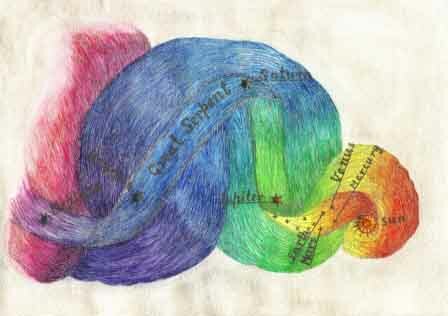 Find out more about Faithism in the Oahspe Study and Faithism section (link provided in the right side-bar). Find out more about John B. Newbrough and how the Oahspe came to be published in the About Oahspe section (link provided in the right-side bar). How did Oahspe come about? Who was Dr John B Newbrough? How was Oahspe received when first published? This Website Template is a Free Open Source Design by Andreas Viklund.